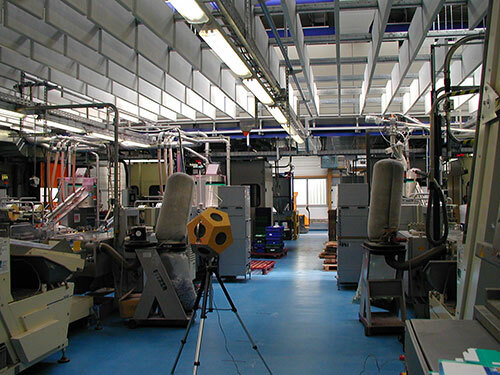 The sound pressure level of the noise-relevant machines was measured by IBS according to DIN EN ISO 9614-2. 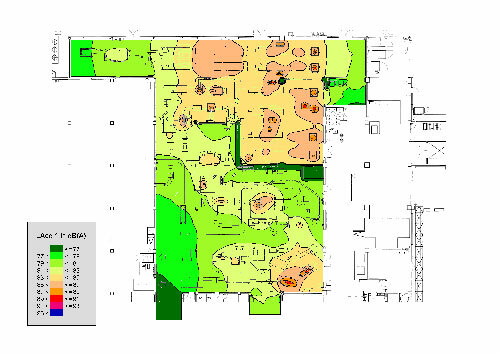 The measurement results were entered into a room-acoustical calculation model that allows calculating the sound level distribution in the room prior to implementing noise control measures. In order to validate the model, additionally the sound immission levels at the workplaces of interest were measured. If needed, we suggest suitable reduction measures that either aim at the critical machines themselves or improve the room acoustics. Using the acoustical calculation model, the sound level distribution in the room after implementing noise control measures can be calculated according to VDI 3760 and other calculation methods. 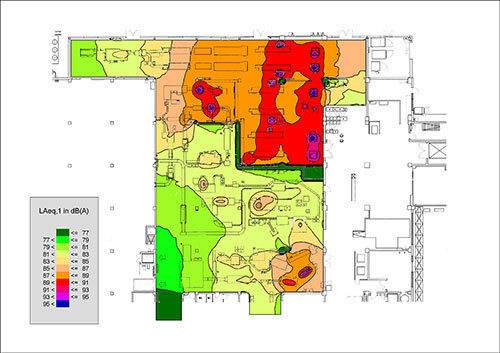 Through this, “hot spots” remaining can be determined in order to optimise the noise control measures.